Love that lace-up look? Well, we've got a shoe here that's all about the laces. 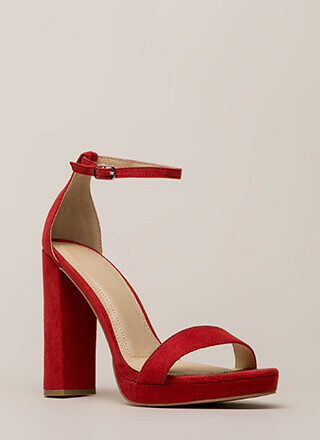 Vegan suede peep-toe heels feature a bootie-like silhouette with an extended counter and a cut-out front with looped straps and crisscrossing cord laces which wrap and self-tie around the leg for a lace-up look. Shoes are finished with a stiletto heel, a ridged sole, and a rear zipper for easy on and off.